Silk Road founder's mom: "They're making an example of him"
Ross Ulbricht, creator of the underground website Silk Road, which let users anonymously buy and sell anything from drugs to hacking tutorials, was sentenced Friday to life in prison after he made a tearful plea for leniency. Ulbricht, who is 31, was convicted in February on seven counts ranging from money laundering to drug trafficking. He could have been sentenced to only 20 years. U.S. District Judge Katherine B. Forrest was clear that she was making an example of Ulbricht in part to deter others from committing similar crimes. "There must be no doubt that no one is above the law," Forrest said. "You, as the defendant, have to pay the price." She said anyone considering following in Ulbricht's footsteps needs "to understand there will be very serious consequences." Rejecting Ulbricht's request for mercy during the nearly three-hour hearing in Manhattan federal court, Forrest said of Silk Road, "It was carefully planned life's work. It was your opus. You wanted it to be your legacy and it is." The judge also addressed the 97 letters that had been written to the court by Ulbricht's family and supporters seeking leniency. Forrest acknowledged that Ulbricht didn't fit the profile of a typical criminal, but said she had no interest in making a judgment "on which of you to know" -- the Ulbricht portrayed in the letters or the convicted criminal standing before her. The judge also said there was "no doubt" that Ulbricht paid for murders of those who had threatened Silk Road. Prosecutors had charged Ulbricht with commissioning six murders-for-hire but those charges were dropped and there is no evidence that these murders were ever carried out. Forrest ordered Ulbricht to forfeit $183 million. Earlier in court, Ulbricht made an emotional appeal to Forrest for leniency, insisting he wasn't a greedy person and asking for a second chance. "I wish I could go back and convince myself to take a different path," he said. "I've ruined my life." 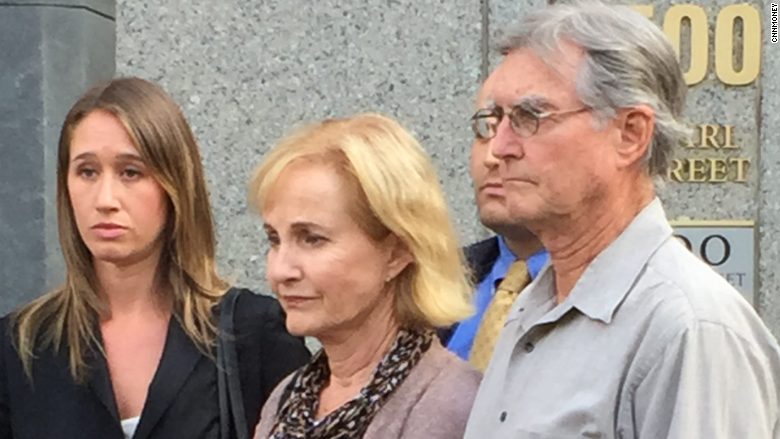 The Ulbricht family leaving court Friday. Ulbricht, a college grad from Penn State, explained that he created Silk Road to empower people by providing them with "privacy" and "anonymity." Ulbricht also apologized to the family members in court of two people who had died from overdoses from drugs they had purchased on Silk Road. Richard, a father from Boston whose son, Bryan, who was identified only by his first name, died after using drugs bought on Silk Road read a letter he'd written to the court. "I strongly believe my son would be here today if Ross Ulbricht hadn't created silk road," he said. Silk Road was a first of its kind -- an unregulated online marketplace where buyers paid using Bitcoin, an electronic currency that is hard to trace. In the three years before it was shut down, it facilitated over 1.5 million transactions totaling $214 million. Before Friday's hearing, U.S. Attorney Preet Bharara painted Ulbricht as a kingpin of a drug trafficking enterprise who made things easier for drug buyers and sellers. "Ulbricht bears responsibility for the overdoses, addictions, and other foreseeable repercussions of the illegal drugs sold on Silk Road," Bharara wrote in a letter to the judge. "It does not matter that he did not personally handle those drugs; neither would a traditional kingpin." 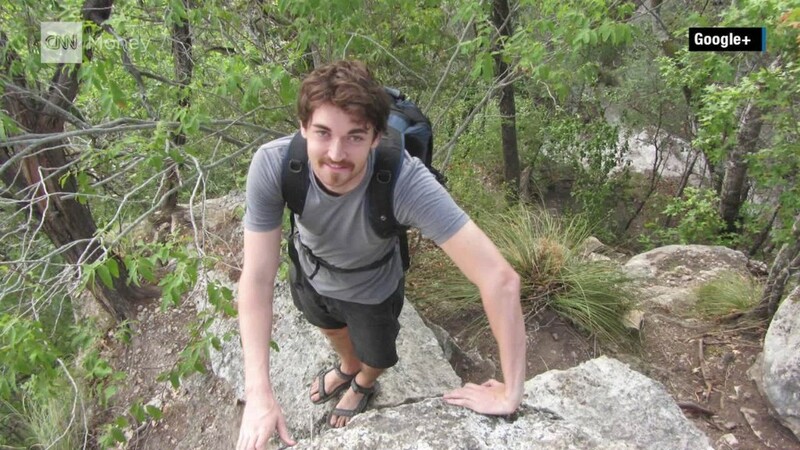 Ulbricht, who has been jailed since his arrest in October 2013, never testified at his trial. He expressed his remorse in a letter to the judge. "If I had realized the impact my creation of Silk Road would ultimately have on the people I care about most, I never would have created Silk Road," Ulbricht wrote. "I created it for what I believed at the time to be selfless reasons, but in the end it turned out to be a very selfish thing to do." Ulbricht's lawyer, Joshua Dratel, said he would appeal the case.